Back in 2010, I was fortunate enough to be at the 68th World Science Fiction Convention in Melbourne when Paolo Bacigalupi’s debut novel The Windup Novel shared the Hugo Award for Best Novel with China Miéville’s The City & the City. It was a pretty spectacular achievement for a debut author, establishing Bacigalupi as a rising voice in a generation who recognized climate change as an imminent threat. His novel could not have come at a better time, and climate change was a topical subject at that year’s convention. In that same week in Melbourne, I also attended a conference on climate change, where I was able to discuss its representation in fiction with Kim Stanley Robinson. That combination of events left an indelible impression on my understanding of the environment, and helped shape my interests as a writer. This year saw the publication of Bacigalupi’s second adult novel, The Water Knife. Set in an American Southwest crippled by drought, the novel confirms Bacigalupi’s knack of making a timely statement. With real-life California undergoing severe drought, the true horror of the story lies not in its violent and dystopian vision of the future, but the simple fact that we’re already living through its prologue. The Water Knife opens with gunships from the Nevada National Guard launching a raid on an Arizona water treatment plant, an attack which will see Carver City deprived of its water supply, and painting a grim picture of a drought-stricken US caught in internecine warfare. The southwest states are fighting over dwindling shares of the Colorado River. The plot revolves around Las Vegas water knife Angel Velasquez, and his mission to uncover a game-changing source of water in Phoenix. Like The Windup Girl, the novel is a blend of characters, a mélange of genres. Angel is brooding and haunted as the water knife, and his quest to find the water rights is endangered by shifting allegiances and betrayal. Alongside Angel are Lucy, a journalist who is sucked into the dark underbelly of Phoenix, and Maria, a young Texan girl whose hunches enable her to score water at a cheap price. Bacigalupi revels in the narrative opportunities afforded by three such different characters, with each of them having a satisfying (and unexpected) role to play in the outcome of the story. Parts of the novel feel like a noir crime story, with the red sandstorms obscuring the city just like the incessant rain of a Raymond Chandler novel. It’s a lot less cluttered than his first novel. The Windup Girl flickered between climate change, genetic modification, human evolution, and plagues, with so many ideas packed into one story that it was hard to maintain focus. The Water Knife is positively Spartan in comparison. The simple plot, with the characters chasing down water rights as Phoenix disintegrates around them, allows Bacigalupi to give depth to his dystopian vision. The strength of the novel lies in its depiction of a society on the edge of collapse. Phoenix is rendered in beautifully agonizing detail, with red dust storms swirling around rusting water pumps, whole suburbs lost to nests of coyotes, and weary immigrants willing to sacrifice their humanity for the smallest advantage. Characters are swallowed up by the dust, lost or transformed. Bacigalupi once again demonstrates his ability to capture how tensions can spill over into conflagrations, how revolutions begin in the streets. It’s bleak. It’s depressing. However, it’s not without its weaknesses. The psychic hunches that plague Maria during the first half of the novel take a background role during the second half, forgotten in favour of Angel and Lucy. The hunches don’t necessarily need to be explained – they work best as a vague connection between Maria and her environment – but they need to have a greater significance in her narrative journey. The structure of the plot, with simmering tensions that escalate into a conflagration, is quite similar to The Windup Girl. And although I think this structure is actually better employed in The Water Knife, it does feel a little predictable, especially as a reader familiar with Bacigalupi’s first novel. I’ve long maintained that good science fiction is not just a mirror of our world, but a crucible, something that transforms our awareness and shapes our consciousness. 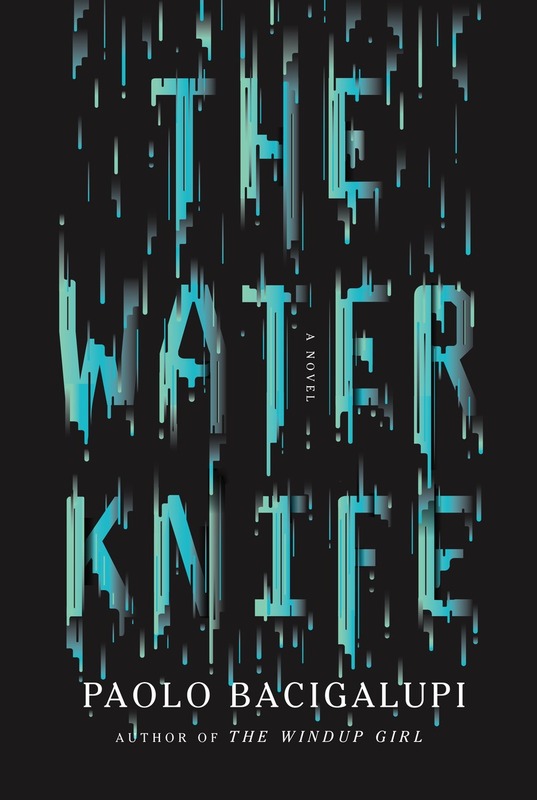 The Water Knife is a timely novel, one that comes as water scarcity is entering the mainstream consciousness, through both real-life examples (California, or even my native Western Australia) and film interpretations (thanks, Mad Max: Fury Road). There are few authors who truly understand climate change like Bacigalupi. His story doesn’t just describe the ecological changes, but their repercussions in politics and society. He understands the fragility of civilisation, how our ability to survive drought and scarcity is determined by the availability of electricity and functioning air-conditioning. The moment these creature comforts are taken away, we are at the mercy of the environment. Most of all, he understands human nature. He knows what humans are capable of doing to each other during the darkest hours: the myriad kindnesses and the myriad cruelty. The Water Knife is another great achievement for Bacigalupi – I would be very surprised if the novel wasn’t shortlisted for next year’s Hugo Award. 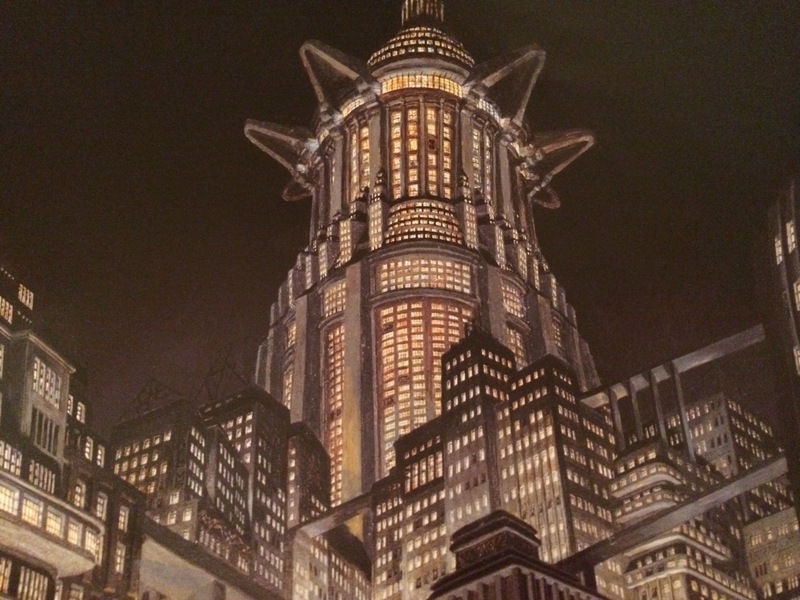 His visions of tomorrow look disturbingly like a mirror of today. I’ve been a Bacigalupi fan for years, but I haven’t read this one yet. Why? Silly reason, really…it published the same day as my debut novel “Blue Karma” and tackles similar themes, so I’m a little scared to compare the two! How can I compete with one of my favorite authors? One thing I love about Bacigalupi’s novels is the subtlety of his vision: his worlds are still recognizable as our own, with a dystopian twist that’s all too easy to imagine. He puts science “fiction” uncomfortably close to reality, and the results are captivating! Andrew, your thumbs-up review only deepens my conflict: it sounds like a story I shouldn’t miss, but it might make me self-conscious about my own book!